Unplug, hydrate and a breath of fresh air. It’s been proven time and again that a lack of a good night’s sleep can be detrimental to not only your mood but also to your health. Some studies have even shown how driving on lack of sleep was as dangerous, if not more, than driving drunk. 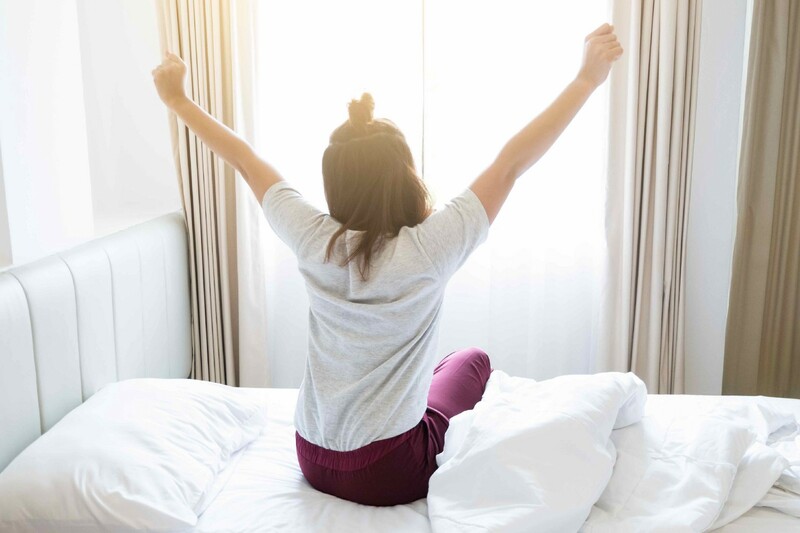 Conversely, a sufficient amount of sleep — typically seven to nine hours depending on your lifestyle and body needs — further supports healthy habits as well as contributes to increased productivity. That all sounds convincing, but just how does one get the right amount of sleep when they have a career, a family, an exercise routine, a social life…? I am fortunate enough to have all the above, yet I am only human and living one 24-hour day at a time. To make the most of my 16 waking hours I adhere to a pretty consistent, yet simple, sleep ritual. Before bed, I take all electronics, set them on their dimmest settings and place them away from the bed. The bright, unnatural light will keep you up long after your eyes are ready to shut. Even if I wake up in the middle of the night, I do not reach for any electronic devices. Instead, I practice calming breathing techniques to help me fall back asleep. If my mind starts racing, I go into a simple meditation to divert my thoughts. If I don’t have enough water throughout the day, I find myself parched in the middle of the night. While I do my best to get enough water all day long, I also set a glass of water on my nightstand to avoid having to get up and go to the kitchen for water in the middle of the night. I prefer to stay in the peaceful comfort of my bedroom to help me easily return to slumber. I always sleep with a window open. It is very soothing to fall asleep — and refreshing to wake up to — fresh air. Even during the winter, I prefer cooler, fresh air with an extra layer of blankets. I also keep some of my windows uncovered so the natural light in the morning wakes me up. That way I can avoid using my alarm clock whenever possible. Both before and after bed I do a light stretch. It loosens up my joints in the evenings, so I enjoy a more comfortable sleep. In the morning, it gets my blood flowing and stretches out any areas that may have tensed up from sleeping in one position all night. I value a good night’s sleep just about as much as anything else in my wellness routine. Without it everything else falls by the wayside. How do you ensure you have a good night, sleep tight, and sleep right?